53 varied and family oriented day walks of 2 to 9 miles exploring the magnificent sandy beaches, spectacular cliffs and human history of Scotland's south-east coast. Routes begin at Bo'ness on the River Forth, take in the delights of Edinburgh and continue east to the holiday destinations of Portobello, North Berwick, Gullane and Dunbar. The wild Berwickshire coast is then described via St Abb's Head and Eyemouth to Berwick-upon-Tweed. 7 fully described day stages of the 90 mile, long distance Berwickshire Coastal Trail and John Muir Way from Berwick-upon-Tweed to Edinburgh and the Forth Bridges, including details of accommodation and facilities at towns and villages along the route. 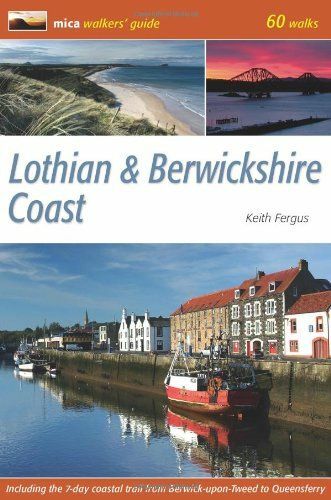 An ideal guidebook to one of the most accessible, popular and enduring sections of the Scottish coast for traditional family seaside holidays. This guidebook will appeal to a wide range of walkers, families, visitors and committed enthusiasts.